Guiding Stars, 2017, terrazzo, 31 x 31 inches. 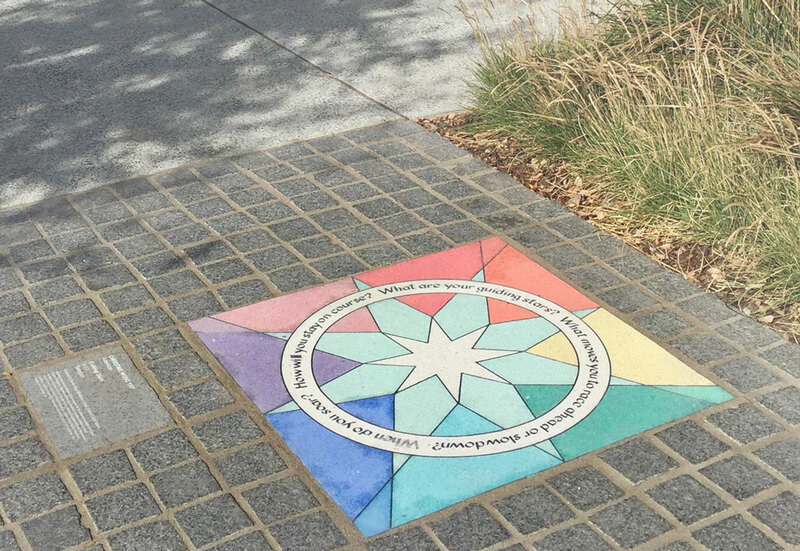 Guiding Stars is a public artwork in San Mateo, California. Guiding Stars uses a compass as a metaphor for the continual evolution of a place and its inhabitants. Approached from any direction, it invites viewers to center, re-orient, and pivot, as they consider moving forward in space and time. Movement is characteristic to all phases of Bay Meadows, as a place where Native Americans gathered, airplanes took flight, thoroughbreds raced, and people commute, live, explore, and celebrate life. Guiding Stars is located in the publicly accessible Bay Meadows town square at South Delaware Street & Franklin Parkway, San Mateo, California (map). 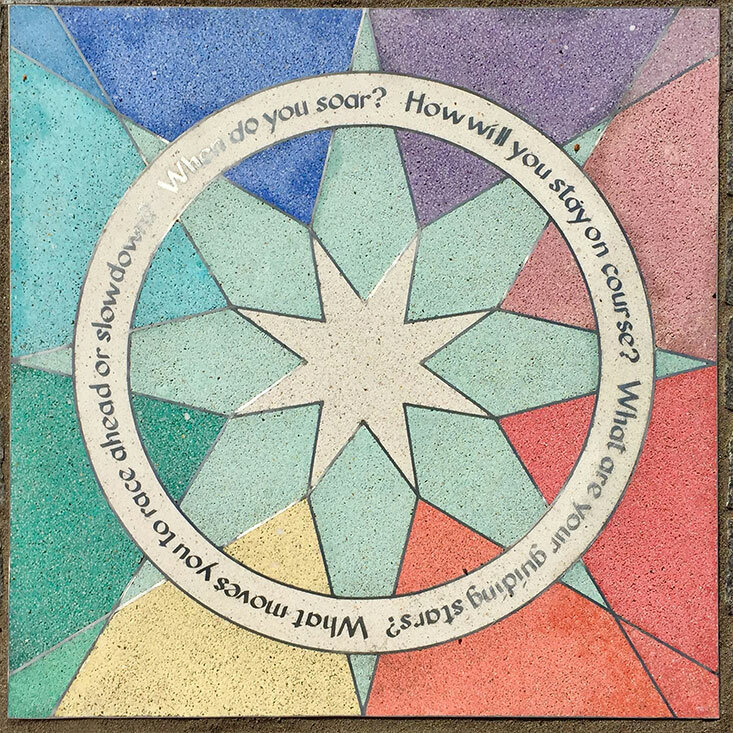 Caption: Christine Wong Yap, Guiding Stars, 2017, terrazzo public artwork, 31 x 31 inches. With thanks to Lindenbaum Art Advisory and the City of San Mateo Art in Public Places program. Fabricated by American Terrazzo and Manhattan American. Read my blog post for more info. Join the mailing list for exhibition announcements.